The Century House in Latham, NY is pleased to announce the promotion of Monica LaBree to General Manager of The Century House! Monica is no stranger to the hospitality industry, bringing extensive restaurant/events management and hotel operations knowledge to her new role. Joining the company 3 1/2 years ago as Director of Hospitality, Monica has earned several promotions including Sales Director, Hotel General Manager, and now overall General Manager of The Century House. In each role she has excelled, embracing the visionary qualities necessary to successfully accomplish each job. Under Monica's leadership, The Century House Hotel has been recognized for its hospitality including earning Excellence Awards from TripAdvisor. Additionally, she is an avid champion of the Enjoy One Share One program where she is part of the team serving monthly community meals. 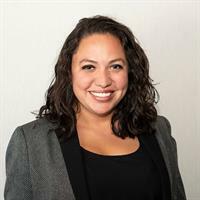 Monica will be responsible for ensuring excellence in guest satisfaction and will oversee operations throughout The Century House restaurant, event venue, and boutique hotel.